AnbaaOnline is a Lebanese electronic newspaper issued by the Progressive Socialist Party. The Anbaa logo underwent an uplift to suit the new trendy styles of being edgy and smooth. The fire emblem has been added to give more character to the logo and became its associated identification. The new branding brightened the red and used new fonts that reflect a modern look and feel. 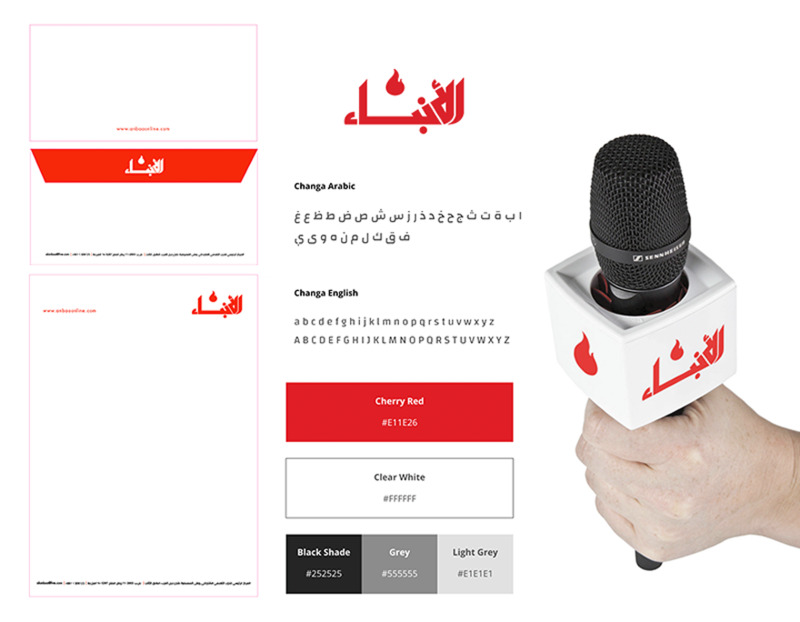 The branding facelift expanded to print elements from business cards, envelopes, to the microphone for exclusive interviews. The new identity with full brand uplift reflects a trendy platform embracing the young and old generation. The website can be viewed on all screen sizes and adapts accordingly. The new identity focuses on multimedia, hashtags, and related articles. Videos are promoted in their own section for their catered audience. A new mastered filtering system was added for searching old archives. The website was highly optimized to meet the top search engine optimization guidelines. The website handles large traffic, serves accelerated loading speeds, and follows the latest web security practices. The native mobile applications (iOS/Android) keep users up to date with real-time news in one click while delivering a fast & reliable service. They were designed and built with the objective of consuming less network data and less device resources.